A few days ago Facebook released new easy-to-use (and find!) privacy settings. While the privacy settings have not changed significantly for users, the settings are categorized into three simple questions: Who can see my stuff? Who can contact me? How do I stop someone from bothering me? It seems as though Facebook has listened to user’s commonly asked questions to develop this new update. a) Who can see my future posts? Click on the small icon to change the setting to your desired state. You can choose public, friends, only you, or, if you have lists set-up, you can choose custom and determine what list is privy to your posts. b) Where can I review all my posts and things I am tagged in? Did you know you can track 100% of your activity on Facebook, including posts you create on your Timeline, your friends’ timeline, and public pages? Click on “Use Activity Log” to view all of your interactions. This is the one stop-shop to make any changes from public to private. In fact, you can change settings or delete old posts. This may be a good time to go through past posts, and delete any that may be better-off deleted. c) What do other people see on my timeline? People also are curious to know what other people can view on their profile. I have heard of some people going through the effort to open additional profiles to view their profile as a “non-friend.” There is an easier way though – and always has been. Clicking on “What do other people see on my timeline” allows users to view their profile as “public” or a specific person. a) Whose message do I want filtered into my Inbox? 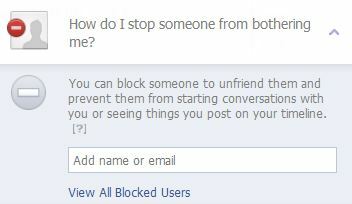 This is one of the big changes Facebook has made to your privacy settings. Starting in 2013, Facebook will allow non-friends to send messages to your inbox for as little as $1.00. This new advertising avenue seeks to increase Facebook ad revenue through a new medium. If you want to mitigate these types of messages click “Strict Filtering” to ensure that you only receive message from mostly friends or people you may know. “Basic Filtering” is not as strict and you may find ad messages quickly popping up. b) Who can send me friend requests? Facebook allows you to change who can send you friend requests. Users have the option of “everyone” (i.e. public) or friends of friends. Sorry folks, it’s only one or the other. 3) How do I stop someone from bothering me? Do you have an ex-boyfriend, ex-girlfriend, ex-wife, and ex-husband? Or, all of the above? Although this setting previously existed, it is now front-and-center to ensure users are not harassed by particular users. 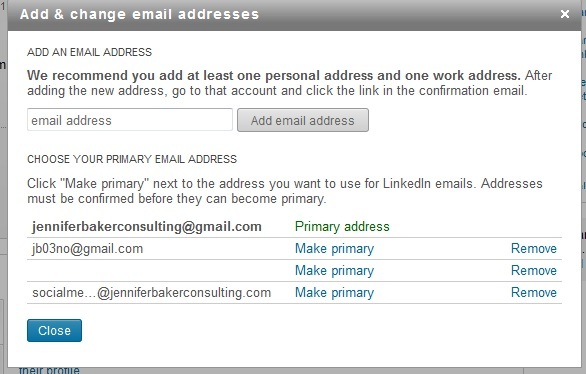 To add users to the blocked list, either input their name or email address. Blocked users are truly “blocked” from looking-up and viewing your profile. 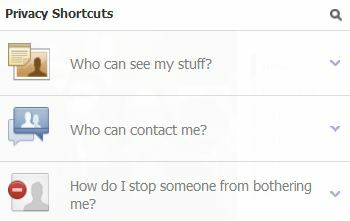 These are just some of the changes that you will notice the next time you log into your personal Facebook account. The best way to learn about these changes is to investigate them yourself. If you have any questions, consider booking a private session! For example, Mark Zuckerberg (You may have heard of him) has a personal Facebook account. Rather than the “+Add Friend” his profile has “Subscribe,” such that users can choose to receive his public updates. On Mark’s end, he has the opportunity to view new subscribers and add them as a Facebook friend, if indeed they are a friend. For everyone else, they will only be privy to public updates. You can also choose to view your Public Profile that is now set-up for subscribers. Here is what mine looks like! I don’t have many subscribers at the moment… but I am working on it! View my profile. Twitter is a fantastic marketing medium to reach a younger clientele from within a broad geographic location. Designed for short and concise messages, Twitter now has over 500 million users who send 155 million tweets every day. The key to maximizing Twitter is to develop a solid following (aka – Users who receive your Twitter tweets). If you do not have followers, no one is receiving your messages! If you’ve heard someone speak about social media, they most likely made the statement: Content is King. In a society that craves information, being the first individual out of the blocks with new ideas, perspectives, and tips can set you apart from competitors. Consider setting up a free blog (e.g. Blogger) as a space to create specialized content on industry-related topics. Once you’ve completed a blog post, create a tweet that includes a link to your blog. Sharing how much you know will begin to develop your credibility with potential clients, and will differentiate you from competition. If you’ve discovered that you’re not a natural blogger or writer, the next best thing is to share great content on Twitter. Follow Twitter users who create/share good content and retweet (RT) this content to your followers. When reading online papers and magazines, use social media widgets to share industry-related content directly to Twitter. As a courtesy, when sharing content on Twitter, mention the account from which you shared the content. Social media is meant to be social. Engage your Twitter followers by requesting their opinion on a topic, or asking them a simple question. For example, ask your clients: “What is your favourite season?” You’ll be surprised at the number of people who will be excited to share their opinion. When you receive replies, respond to them. Social media is meant to be a two-way dialogue between you and your customer. Twitter is a fantastic social media marketing tool that will reach an audience you never imagined possible. Use these three tips to help build your following, and expand your business’ marketing reach.